JoeLister enables eCommerce business owners to list their Amazon inventory on eBay with ease. Its features include one-click live listings, automatic order fulfillment, quantity synchronization, smart pricing tools, and more. In this article, we cover its pricing information. Ready to try JoeLister? Get a free trial. As of the date this article was written (01/23/19), there are no up-to-date JoeLister reviews online. If you are a past or current JoeLister customer, leave a review to help other business owners who are deciding whether or not to use the software. JoeLister offers four paid subscription options: Basic ($29/month), Plus ($59/month), Pro ($99/month), and Enterprise ($499/month). The main differences between the plans are the number of live listings and access to priority email and phone support. Ready to try JoeLister? Get a free trial. The two-week free trial includes full access to all the features of the user’s chosen plan. Do I need to provide my credit card details when signing up for the free trial? Yes, interested users are required to provide their credit card information when signing up for the free trial. However, they will not be charged with the subscription fee until after the two-week trial period is over. 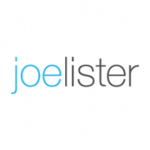 Not sure if JoeLister is the right fit for you? Read our reviews of all top Amazon tools or check out one of these three JoeLister competitors.